Approximately fourteen years after the ugly fire incident that left not less than nine medical students dead on the 9th of May, 2001 at the College of health sciences, Nnamdi Azikiwe University, Nnewi campus, the students still mourn and remember their departed colleagues. Some lives could have been saved in the unfortunate incident according to the president, Students Association Government of the college, Comrade Jennifer Ikediugwu Jordan, if the school had a functional ambulance as the one available broke down on the road while conveying the victims to the Nnamdi Azikiwe University Teaching Hospital, Nnewi. The students came out en masse on Friday, May 8 to commemorate the death of their fellow students. In his remarks, the chair of the occasion and Dean, Faculty of Medicine, Dr. Ebele Ugochukwu describing the incident as unfortunate advised the students on the need for better safety ethics in their hostels and homes so as to avert any reoccurrence of the sad incident. In a sober reflection, an eye witness to the ill fated incident who simply identified herself as mama Ozi gave an account of what really transpired on the tragic day expressing disappointment on the fact that fourteen years later, the campus remains without a functional ambulance. Delivering the memorial lecture at the event, Revd. Fr. Dr. Maurice Izunwa who spoke on selflessness as exhibited by one of the victims, Chinedu Chukwuneke who defied the fire in a bid to saving other persons trapped in the hostel during the inferno. He urged the students to emulate the late hero who showed an uncommon gallantry, laying his life for others. Also speaking at the event, the Dean of Students Affairs of the university, Prof. Ken Nworgu described the memorial as a selfless venture stating that it’s better remembered dead but effective than playing away one’s time while alive. He added that the victims died for a course urging the students to keep steadfast with such kind of selfless commitment. He promised to take the request of an ambulance by the students to the school management. Also addressing the students, the President Students Union Government of the institution, Comrade Noble Eyisi gave the reason for participating in the memorial as a way of lending support to the students in Nnewi campus stating that all the students of the university are one and as such should be seen and heard as one. Comrade Eyisi promised to carry the students along in his administration while expressing hopes that with a good synergy, the request for a new ambulance would be pursued vigorously. While lamenting over the poor learning environment of the college, comrade Jordan said, “College of Health Sciences Nnamdi Azikiwe University Nnewi Campus has existed for so many years now, producing seasoned medical practitioners who have been saving lives all over the world but yet our own lives as students during these rigorous trainings have lost value in the eyes of our leaders! We have been terribly neglected for years. The entire students of this great College cry out with one voice. We need help. High points of the event were beautiful renditions and drama presentation by the students. There was also a procession to the monument to pay respects to the fallen heroes. 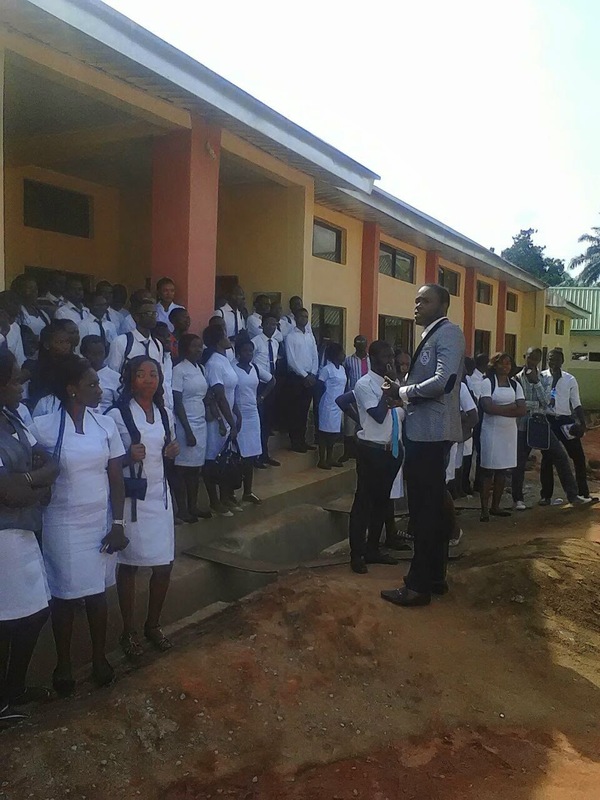 Shortly after the procession, one of the students and M.C, Miss Millicent Ekwudo seized the opportunity to reverberate the abysmal state of the school’s only functioning ambulance and to appeal to the school authority to heed our cry for help and come to their aid in providing that which is pertinent to sustaining and securing the life of students in the campus, a plea that was backed up by every single student present as they echoed ” we need an ambulance”.